When it comes to our secret Facebook Group, no topic is off-limits. From the members' supplement recommendations to the items they always add to their Trader Joe's cart, we've covered nearly every wellness topic there is. So when we finally decided to focus on sustainability for April's My Next Thirty intention, we decided there was no better place to kick-start our research than our own Facebook Group. We asked for their best tips on living a more sustainable lifestyle and our members provided some pretty thoughtful—yet surprisingly simple—responses. Keep scrolling for their best tricks. When bringing up the topic of sustainability to my friends, one noted one of the biggest roadblocks to them living a more eco-friendly lifestyle is that it seems inconvenient and is often more expensive. I can imagine that is how many others feel as well (and I'm not going to say that's totally wrong), but our group had numerous ideas for fairly simple swaps you can make that will barely make a dent in your schedule—or bank account. "I've noticed lately, especially with fresh produce becoming more available where I live, that switching to dish towels from paper towels and glass containers from plastic has made a much bigger difference than I'd have thought, and re-using harder plastic containers that I am still winding up with (from bulk store purchases, mostly) as many times as possible for other things has helped me get the most out of those less desirable materials, as well." An oldie but a goodie: Bring your own reusable bags when grocery shopping! Many states will actually charge you extra for each bag you take, so this tip ends up saving you some extra cash in the long run, besides helping the environment. With the issue of sustainability being more top of mind recently, there are tons of brands out there that have opted to be more sustainable. Even stores like Trader Joe's have announced their plans for becoming more eco-friendly this year. Even better, there are brands that have curated their entire product collection around being more Earth-friendly. Girlfriend Collective makes activewear out of ocean plastic, and Imperfect Produce avoids food waste by re-selling "ugly" produce at a cheaper price point. Other brands our community recommends include Stasher Bag, Who Gives a Crap and Bold Box. Unfortunately, a lot of our favorite things come with a whole lot of baggage that is unnecessary packaging. While it may be difficult to avoid this completely, our group offered a lot of suggestions on how to avoid these, including opting for glass over plastic, bringing your own produce bags (or simply leaving them in the cart and washing them later), and reusing cardboard and paper packaging as much as possible. One of our favorite tips? "Order food 'for here' and then put it in a Tupperware container whatever you don't finish or if you want to take it 'to-go.'" If you want to make sustainability more a part of your everyday life, try surrounding yourself with experts and pros that really know their stuff. 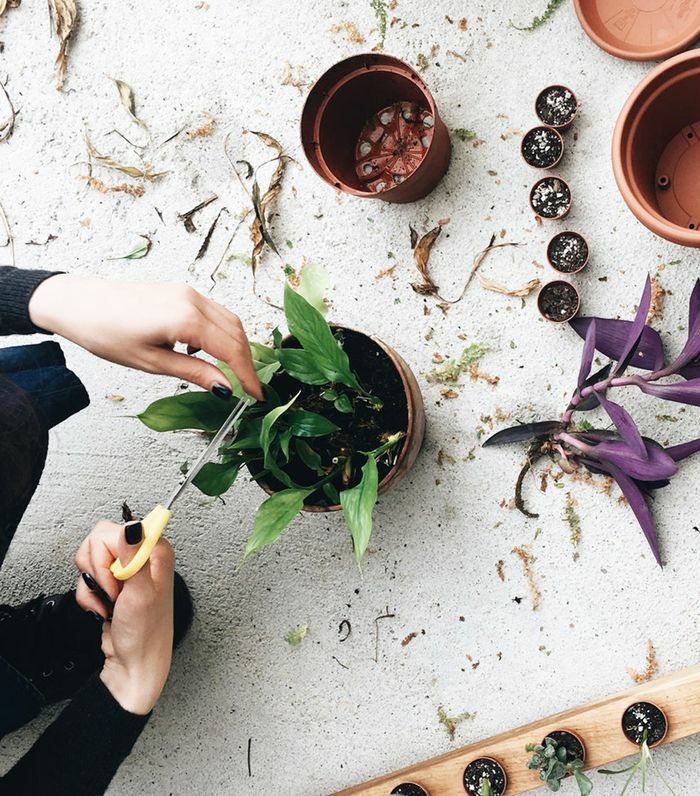 Our members named a few of their favorite accounts they enjoy following on Instagram, including @seedandsproutco, @root_for_food, and @meganfaletra. Do you have any eco-friendly tips to share? Join our secret Facebook Group.